Obscure Novelist, Martin Myers, Breaks Through with Latest Novel. At 85 and more productive than ever, Myers’ latest genre-shifting novel brings him back to the literary scene with a bang. 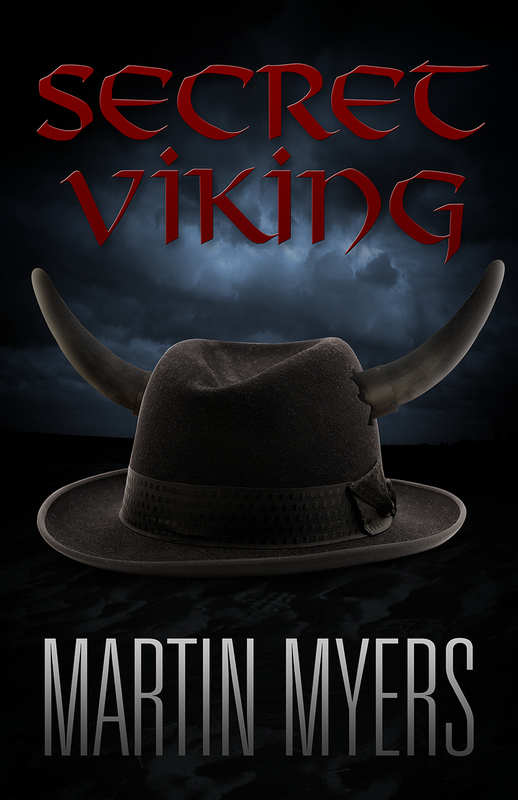 Toronto, Ontario – After a string of hugely successful novels followed by a hiatus, 85-year-old novelist, Martin Myers, is back on the literary radar with his latest novel, The Secret Viking. This genre-shifting literary detective story recounts the far-reaching efforts of a literary scholar, too clever for his own good, in tracking down a clandestine 1300-year-old Viking warrior poet, possibly the world’s most prolific writer. With many readers laughing out loud and gasping for air, this mystery leaves them not asking ‘whodunit?’ but ‘who-is-it?’ Chockablock with puzzling suspense, it takes readers on a trip they won’t soon forget. Just as they have figured it out, they discover they haven’t. When they think they finally have the answer, they are left with only the question. “Set all over our world and in other worlds, the story leaps from past to present to future with the protagonist writing, dissembling, running, shedding families and changing costumes,” says Myers, who has achieved critical acclaim with his previous works of fiction. The secret Viking could be your next-door neighbor; perhaps accompanied by a suspiciously-smartassed dog, another central character. Amongst all the tomfoolery, there is something profound in the genre-bending novel, which examines literature and the literary life in a new way. Having released this fourth novel as a Kindle e-book, Myers has another just-finished novel ready to publish and is compiling a short story collection. “I’m not going to say too much about it at this stage. Except that it’s full of surprises. It surprises even me,” he confides. Since its release, The Secret Viking has garnered a consistent string of rave reviews. Critics praise Myers for his sense of humor and unique turn of phrase, which pepper his narratives with quirks and quips. With the book’s popularity on the rise, interested readers can purchase a copy at laughably low cost with a click. The Secret Viking is available instantly on Amazon. For more information, visit the author’s official website: http://martinmyerswrites.com. I was a Canadian in grad school in the U.S. when I finished my first book, The Assignment. A New York agent sold the book in two weeks in New York and London. Over ten years, following my return to Canada, I wrote two more books and was in demand for readings, interviews, book tours and writing workshops. My books were taught in Canadian Literature courses. Praise was great. But somehow, work in advertising seemed easier. I’ve just finished a fifth novel and am working on another and also compiling a collection of my short stories. I’m a graduate of the University of Toronto and the Johns Hopkins University Graduate School, Baltimore. For two years I was a Visiting Associate Professor at the University of Toronto and I also taught for five years in writing workshops at the University of Toronto and York University.